America, the land of opportunity ... or government? 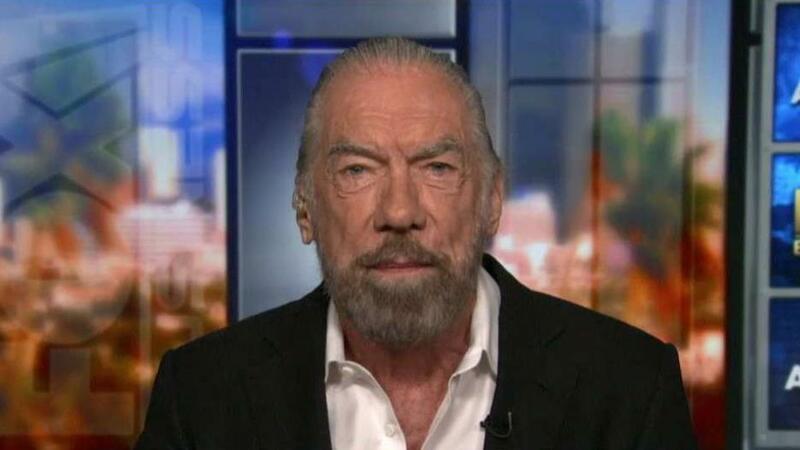 John Paul Mitchell Systems co-founder John Paul DeJoria on calls from politicians such as Rep. Alexandria Ocasio-Cortez to raise the marginal tax rate for upper-income Americans and why he still believes in the American dream. The Trump administration’s pro-growth economic policies of the last two years, including tax reform, have led to the private sector economy doing quite well across the board. Unemployment rates are at record lows. Even wages, after a decade of stagnation, are rising. Despite this obvious success, there are new calls from the left to hike top tax rates to 70% or more - despite record government tax collections. Meanwhile, Sen. Bernie Sanders, I-Vt., has decided it’s time to re-trot his socialist-style claim that the rich are frolicking at the expense of the poor. Sanders and the like, however, must have amnesia. They forget that decades of ever larger government culminated in little to no economic growth under the Obama administration, and swelling government assistance roles that resulted in record Social Security disability claims. They are also dangerously stoking the flames of class-warfare to the detriment of every aspect of America. So, if the economy is doing so well since President Trump began cutting taxes and eliminating regulations, why is there such discontent and calls from the left for a massive expansion of government and huge tax increases? The short answer is that many Democrats no longer care about the private sector. They get elected by demanding that government secure incomes, health care and standards of living. The focus of their actions is to further strengthen the power of government. They simply don’t agree with James Carville anymore -- or Ronald Reagan when he said the best social program is a job. Given the record spending since 2008, which has averaged nearly 40% of the economy, you would think all of our problems would have been cured by now. You would also think the left would be happy with the projected record spending of $7.5 trillion in 2019. Despite all of that, newly elected millennials like Rep. Alexandria Ocasio-Cortez, D-N.Y., call for 70% tax rates for high earners. That reminds me of the time when current House Speaker Nancy Pelosi said "unemployment benefits remain one of the best ways to grow the economy," or that "it is the biggest bang for the buck when you do food stamps and unemployment insurance. The biggest bang for the buck." Economic incentives and the success and jobs they bring are not the worst of crimes. So, with our growing economy, brought on by smarter economic policies, we should not fall to the seducers of class warfare hawking ever larger government, redistribution and tax increases. America must remain the land of opportunity, not the land of government.